Flash! It's been long since I've been so fair! 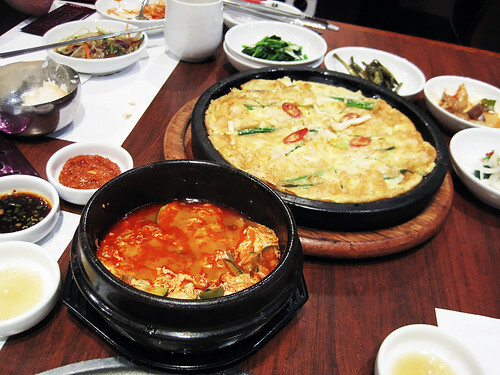 I've been craving for Korean cuisine for long! 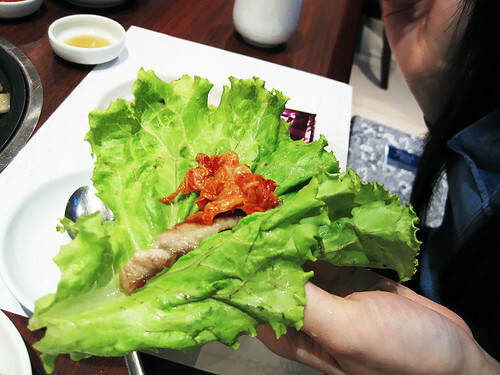 So I did some research on Korean restaurant and brought Fingers along for a treat cause they've been helping me with my party the other time, and I thought it's a good way to thank them, by treating them yummy food! 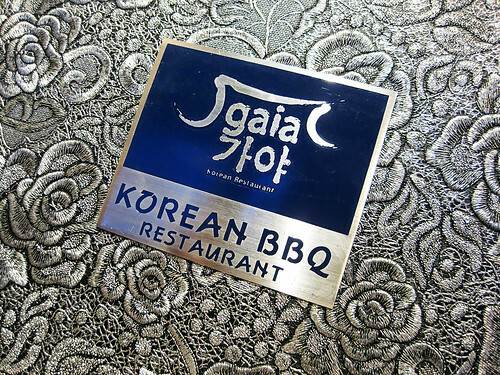 And we landed up at, Gaia Korean restaurant! Where I saw loads of good reviews by people recommending it, as they say it serves authentic Korean cuisine cause their chef are from Korea! There are all together 6 side dish if I never remember wrongly! And they serve us 2 sets of it cause we have like 5 people, but what's more to it is that.... it's refillable! Mad awesome!! ♥ Kimchi! The staff there bbqing for us! 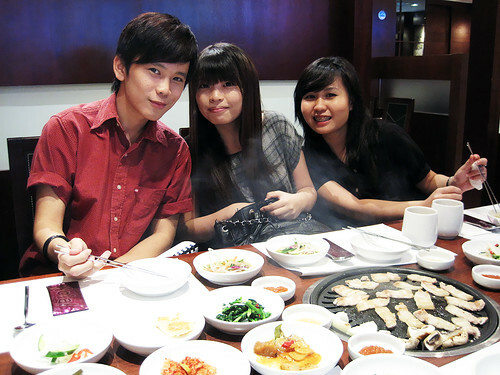 Zj, Ting & Kx! All enjoying the food! 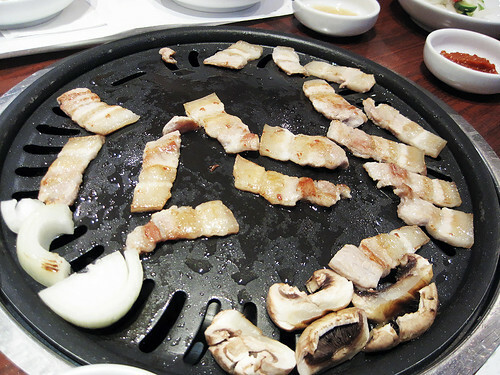 Bbq pork belly! Yums yums! Angie adding kimchi to the bbq pork belly! 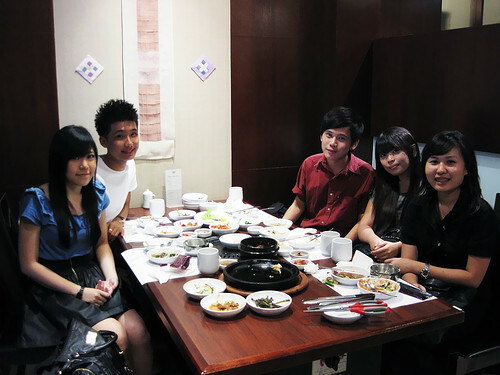 Anyone know of other nicey nice Korean restaurant too? Do tell me so I can go try them out! I know of another one at Bukit Timah! It's pretty good too! 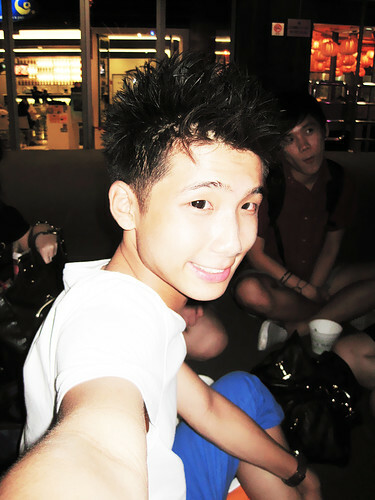 Had 'Zha Jiang Mian' there before with my poly mates! 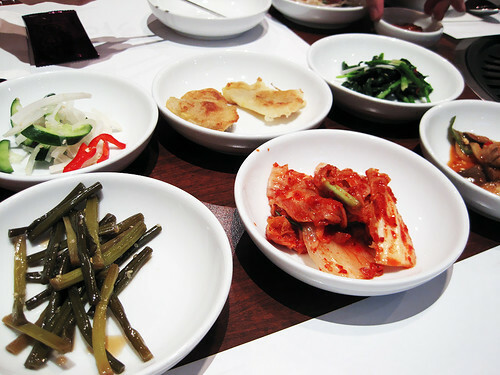 Korean food ftw, ftw!!! Realise I've edited this 3 pictures but forgotten to put them up! It has been in my draft for pretty long already eh! 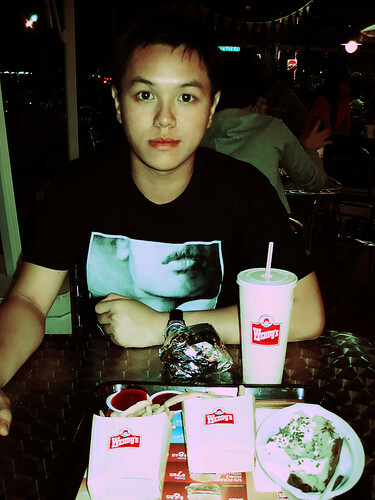 Went to have Wendy's with Weller months back as he wanted to eat it like so much! But well, it doesn't taste that yummy though. Him finally gets to eat his Wendy's!! 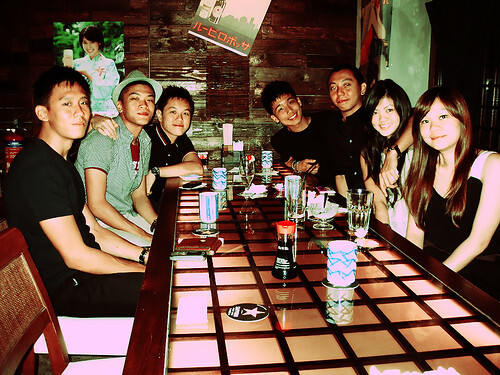 And below is a group picture of his birthday celebration's dinner! Nice dinner but he spent a bomb on it!